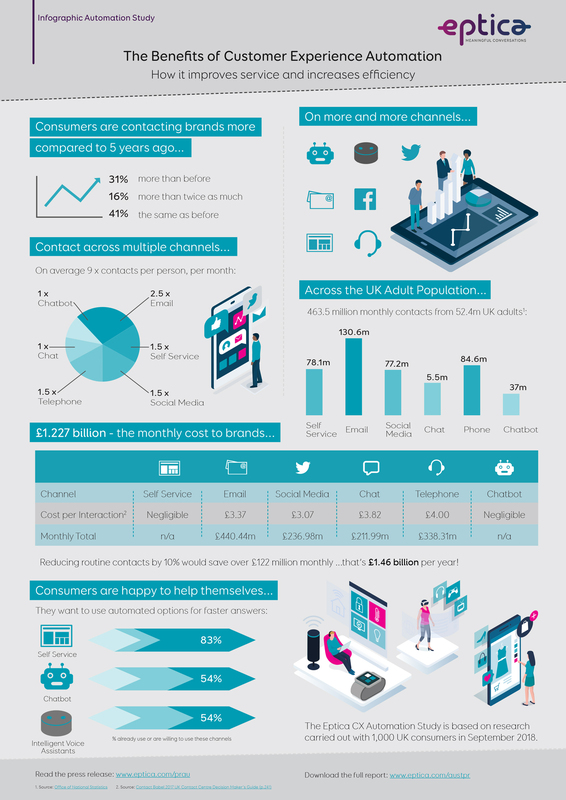 UK customers now contact brands nearly half a billion times every month, costing organisations £1.227 billion | Eptica - Multi Channel Customer Interaction Software. Email Management. Web Self-service. Live Chat and Agent Knowledgebase. Reading, 10 October 2018. New research highlights the growing volume of consumer queries that UK brands now need to handle, and the increasing cost this imposes on companies. 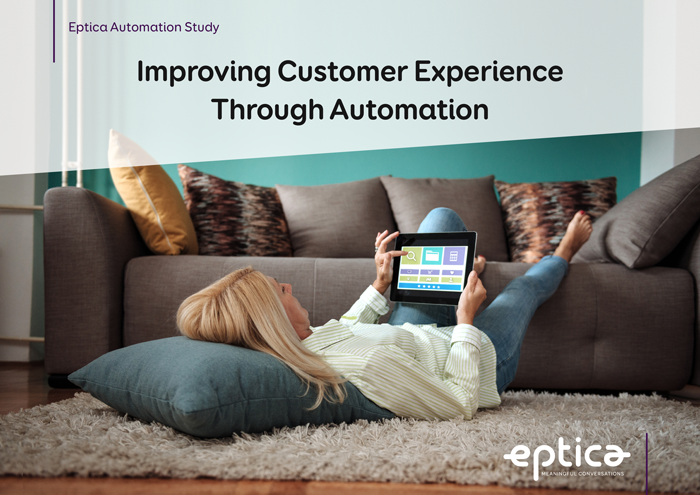 The average UK consumer now contacts organisations nine times per month, according to research undertaken as part of the 2018 Eptica Customer Experience Automation Study. Across the adult population, this means brands need to respond to 463.5 million contacts every month, and the figure is rising. 88% of those surveyed said they now contact companies more or the same number of times as five years ago – with 16% getting in touch more than twice as often. Using industry average figures from analysts Contact Babel*, answering these queries costs the UK economy £1.227 billion across the telephone, web, email, social media and chat channels. This is made up of £440.44m (email), £236.98m (social media), £211.99m (chat) and £338.31m (telephone). In contrast, automated channels such as self-service, chatbots and voice assistants have a negligible cost per interaction once they are in place. An infographic on the results is available at here.